← Would Gaddafi Accept a Deferral-for-Peace Deal? I hesitate to even attempt to comment on anything that John Bolton says. His commentary is so stubbornly right-wing and predictably political that arguing with him would be akin to trying to move concrete walls with your forehead. Nevertheless, Bolton’s recent piece critiquing the UN Security Council’s referral of the situation in Libya to the ICC does deserve some attention, in part because, at least this time, it’s not all venomous rhetoric. Bolton points to two substantive claims that need to be addressed within the field of international criminal justice: the question of outsourcing responsibility for peace and justice and the capacity of the ICC to deter future crimes. Regardless of the source, no doubt unsavoury for supporters of the Court, Bolton’s criticisms should be engaged with. Of course, Bolton’s commentary must always be understood as an element of his political project. The man is multilateralism’s worst enemy. James Traub describes Bolton’s tenure as the American ambassador to the UN during attempts to reform it as “a nuclear strategy”. 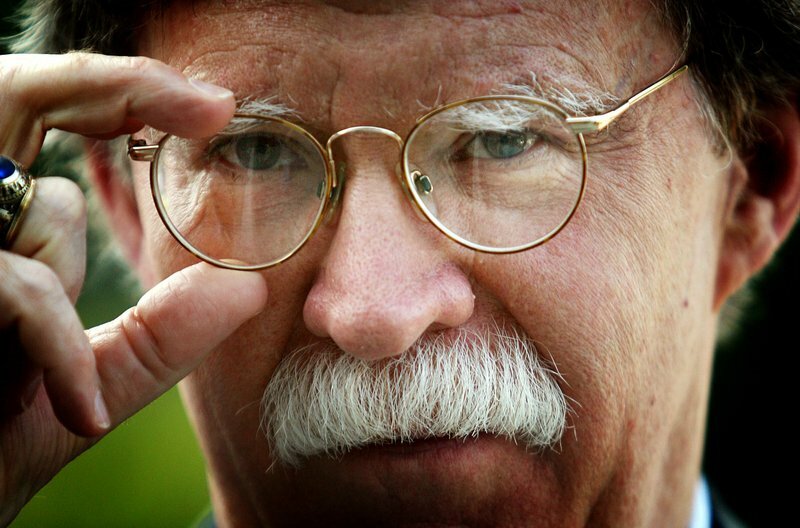 With regards to the ICC, Bolton’s attitudes serve as the fiercest example of American distrust towards the Court. Bolton has been one its staunchest critics. Bolton has described the Court as contradictory to the constitutional ideals of America, as an overreaching and unaccountable institution, and an institution which America should “isolate it through our diplomacy, in order to prevent it from acquiring any further legitimacy or resources.” When, in 2002, the Bush administration took the unprecedented step to ‘unsign’ the Court’s Rome Statute, Bolton described it as “the happiest day of my life.” Today, Bolton is considering a run for the 2012 Republic presidential nomination. Advocates of international cooperation and international law just collectively shivered. In his border-line vitriolic piece on Libya and the ICC, however, Bolton does highlight a few important points along with some stunningly incorrect assertions and a confusing reference to the Valerie Plame scandal. 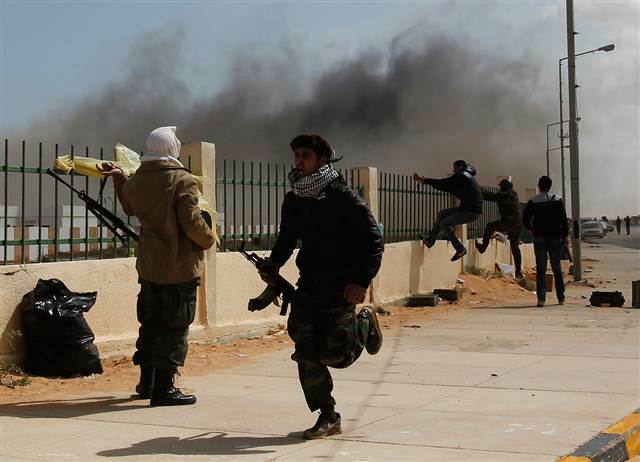 First, Bolton argues that by referring the situation in Libya to the ICC, the US – and his more specific target, President Obama – abdicated responsibility. In a similar vein, I recently argue that the future of peace in Libya depends on the UN Security Council and not the ICC and that there is a danger of the Security Council outsourcing responsibility for peace to the ICC. Bolton’s assertion of abdicating responsibility may be a bit over-the-top, but the question of where responsibility lies and how it is shifted between international institutions is not always clear. Bolton’s other claims in his commentary are largely unfounded or contradictory rhetoric. They reflect his allergic disposition towards international cooperation and international justice rather than any substantive or well-reasoned analysis of the ICC’s weaknesses. Nevertheless, Bolton’s points concerning the shifting sands of responsibility for peace and justice as well as his criticism regarding deterrence deserve attention, even if the debate isn’t with him. Too often, advocates and critics of international criminal justice simply refuse to speak with one another, rejecting rather than critically engaging with the claims they disagree with. Substantive arguments are rejected on the basis of who says them rather than their merit. If the project of international justice is going to be successful, that will have to change. This entry was posted in Deterrence, International Criminal Court (ICC), Libya, UN Security Council, United States. Bookmark the permalink.